It’s so hard to be without your contact lenses especially if you’ve been using them for so long. But when infection sets in because of improper cleaning practices, the only choice you’ll have for clear vision is to revert to your old glasses. It’s understandable that you may find yourself tiring of your nightly cleaning routine but to skip it will be detrimental to your eyes. Would you risk getting an infection over a few minutes of cleaning your contact lenses? Have you thought of getting daily disposable contact lenses if you don’t want the hassle of cleaning? 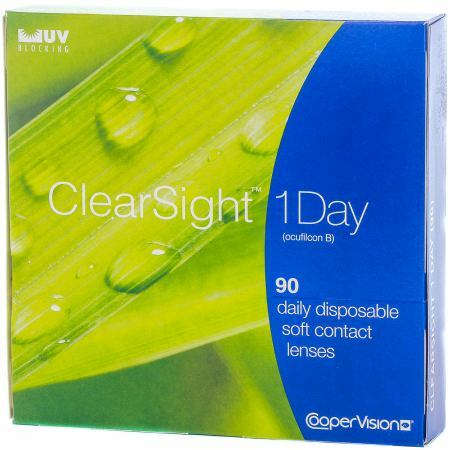 Daily disposables like Clearsight 1 day (also known as Biomedics 1 Day) are contact lenses manufactured by CooperVision. They offer the convenience of not having to clean your lenses every night, instead you only need to throw them away after use. What’s good about using Clearsight 1 Day is that you always have fresh lenses on your eyes, every time. What this means is that there’s no chance for bacteria or fungi to set in because you always have a fresh pair on. It also means that you don’t need to buy and store cleaning solutions because there’s no need for cleaning. If you’re looking for a hassle free pair of contact lenses then Clearsight 1 day is just right for you. But “no cleaning” is not all you can look forward to with Clearsight 1 day. Its thin-edge lens design makes for a more comfortable feel – one like you’re not wearing contact lenses at all. The contact lenses also come with a visibility tint that lets you easily locate the lenses in the lens case. So, now that there are contact lenses like Clearsight 1 day that gets rid of the dreary cleaning ritual, there’s no reason why you shouldn’t have clear vision and healthy eyes all at the same time. Just make sure that you check with your eye doctor every once in a while for better monitoring.